Riki has worked in the New Zealand health system since completing an honours degree in social work, social policy and sociology at Massey University. 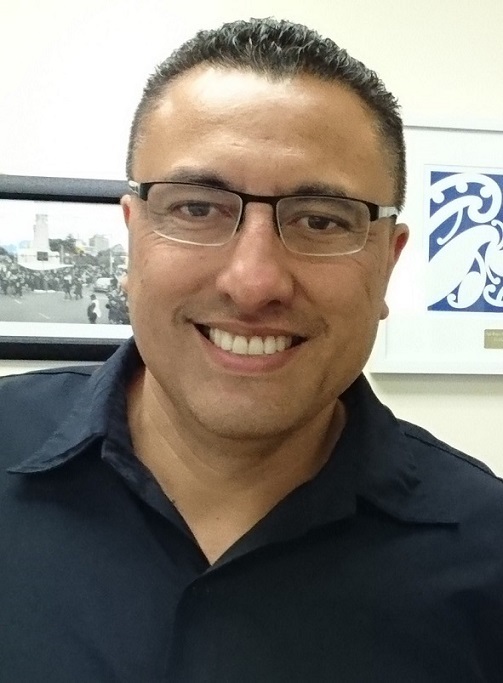 Since 1996 he has worked at eight of the twenty District Health Boards (DHBs), in roles such as Service Manager of Public Health Services at Whanganui DHB, and as Executive Director of Māori Health for Capital and Coast, Hutt Valley and Wairarapa DHBs. Riki attributes his leadership style to three key things…whānau upbringing, excellent mentoring and a desire to be a good role model for his four tamariki. My Kuia Te Awhimate Nia Nia (Tūhoe), demonstrated to me by the way she lived her life there is no substitute for hard work. Despite her many health ailments, each day she would attend to her vegetable garden regardless of how she was feeling, the weather or other priorites. She was mentally and physically tough, driven and did not take short cuts. Riki also believes the mentoring from his father, the late Rev. Huatahi Nia Nia (Tūhoe, Ngāti Kahungunu) was invaluable. I learnt the most important lesson of all from dad, the importance of being a good person who cares about his whānau. My father was an Anglican Minister but not just on Sundays, every day he lived and breathed his beliefs. He was the first Māori Minister to be the Gisborne Hospital Chaplain, he then trained to be a qualified drug and alcohol counsellor. He was also a Post Master in Gisborne for many years. The best thing he did mind you was to marry my mother Theodosia Nia Nia, a Tongan princess. Dad was always one step ahead of me. I remember going to see Prof Mason Durie, when I was the Service Manager of Public Health in Whanganui, to see if he could do Treaty training with my team. Before I sat down, Prof Durie says ‘I’ve been talking to your father and we both think you should do your Masters - he’s also asked me to supervise you’. I went on to complete my thesis in one year while working full time with his supervision and became Te Rau Puawai’s first graduate from memory. Riki is most passionate about seeing more of our whānau enter the health workforce and believes only then will our 18 billion dollar health system have the necessary intelligence and capability to perform more effectively for our people. General Manager of Māori Health for both Auckland and Waitemata District Health Boards.